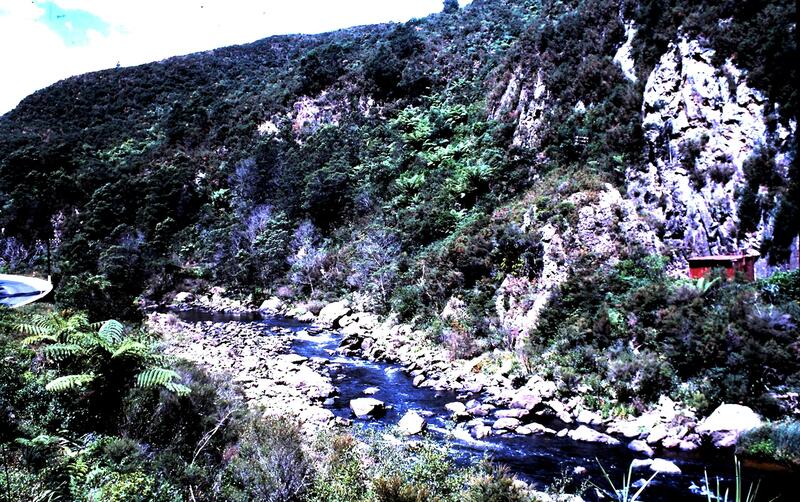 I visited New Zealand’s North Island in Summer of 1979. 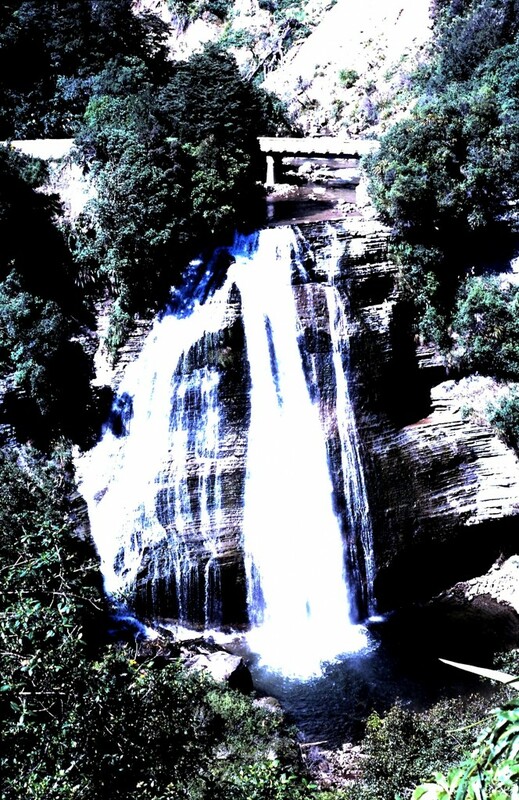 The weather was warm and pleasant and the scenery there is awsome. I hitched around for a week and was picked up by many friendly people and I have always appreciated their kindness. I had a lift with 2 retired farmers who stopped at some wonderful places and they waited till I took photos and shared their sandwiches and thermos of tea with me. I got a lift with a milkman who stopped and opened up the fridge and gave me a carton of milk. I got a lift with a farmer who when he dropped me off told me to visit his brother who would put me up. I walked down quiet county town streets and people stopped and said hello. I wonder if its still the same there now. 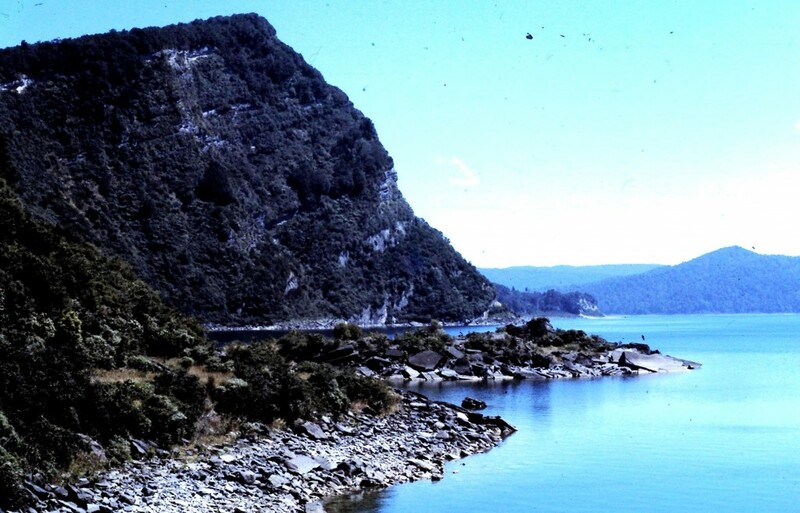 New Zealand North Island inland Lake. This lake was completeley deserted, no one around for miles, no houses no shops. New Zealand North Island Waterfall beside a quiet country road. Rotarua has hot springs and geysers that were something I had never imagined. 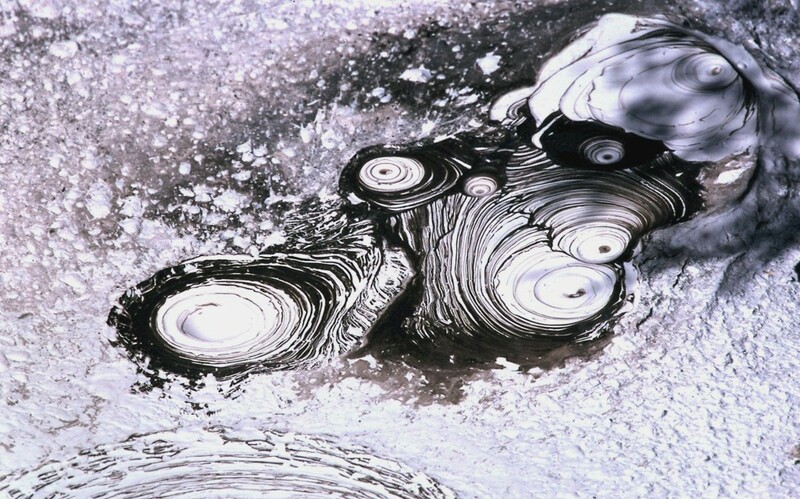 Here mud bubbles away making Op Art patterns like a slide projection backdrop at a Greatful Dead concert. 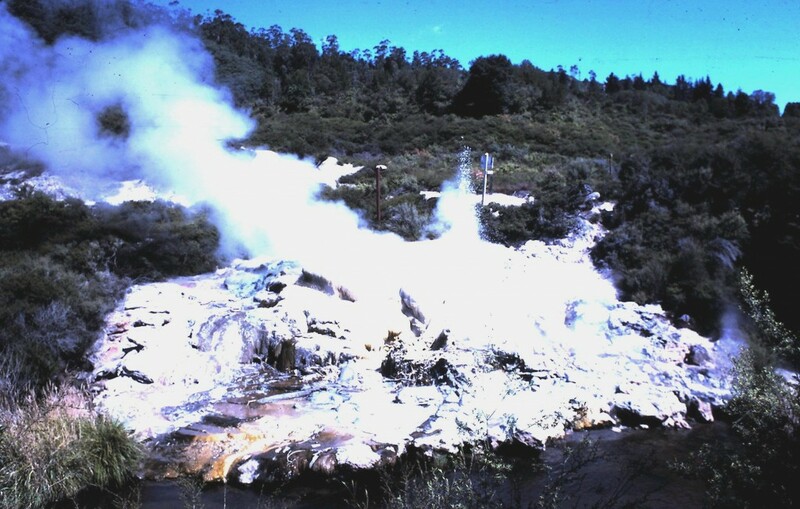 New Zealang Geyser Rotarua. This Geyser was so cool it was actually blowing smoke rings. 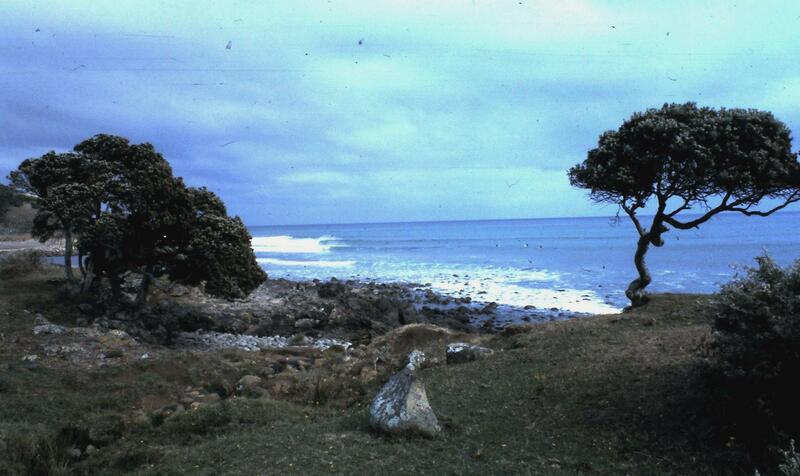 New Zealand Coastline Raglan 1979. The coast was quiet and peacful and the beaches beautiful and unspoilt. We sure could learn from them.